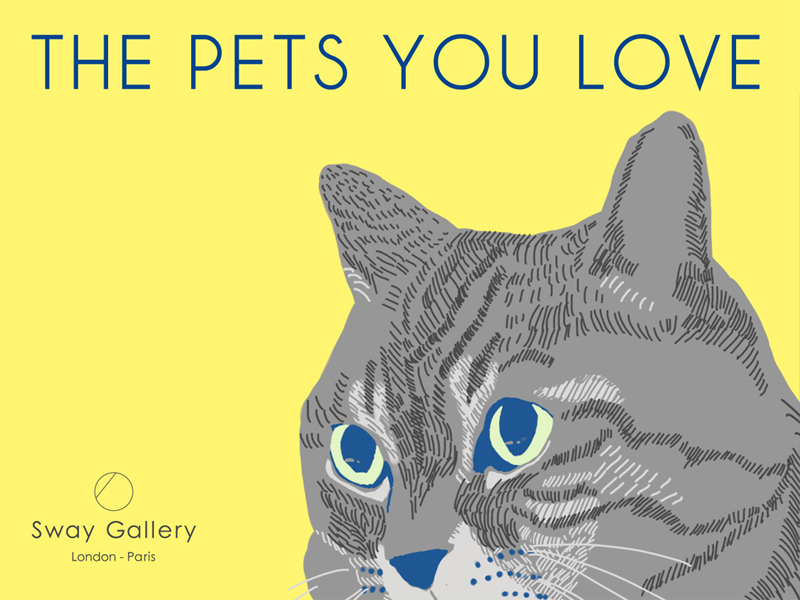 So Fujii 【1st – 6th February】“I drew someone’s pets in this exhibition because I wanted to share feelings through my illustrations. People who keep pets have various emotions, like happiness, joy, sometimes frustration, and sadness towards their pets. But this is just what it means to love your pets. Illustrator, born in Toyama, Japan. Living in London since 2016. He has created many artworks, mainly drawing animals, plants, foods, fruits and vegetables. His technique uses a multitude of lines, beautiful colours and a lot of detail. He is trying to find his way to express the energy of life through his own artistic style.